We have a new member in the team! He is Manuel Castellano, a student of the Master on Mechatronics Engineering of the University of Málaga that plans to use the CRUMB robot and its simulators to study and analyse the possibility of implementing Bayesian inference. 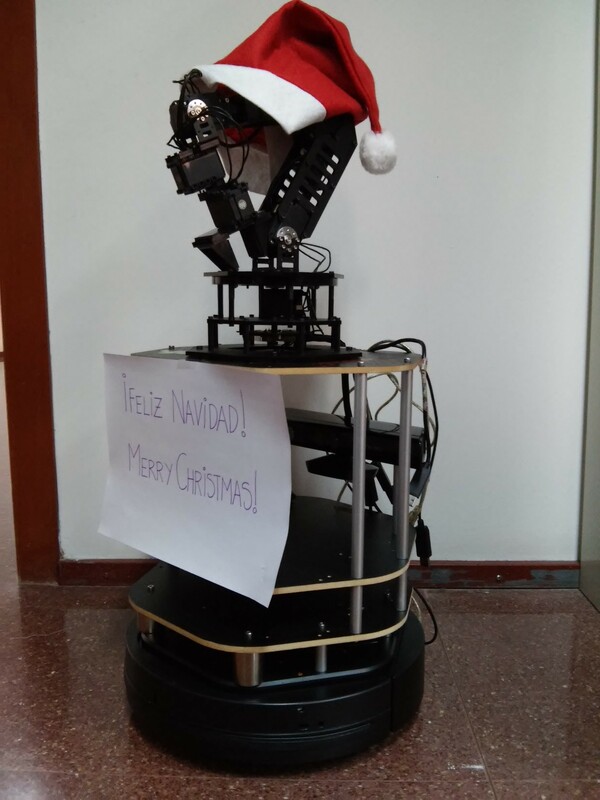 Ángel Martínez-Tenor, one of the PhD students of the MAPIR group, who is working on reinforcement learning applied to robotics, has joined the CRUMB team for testing some of his theoretical results on the robot and its simulator. CRUMB and the CRUMB team wish all humanity MC & HNY! Thanks to a collaboration grant from the Spanish government, we have a new student working on the CRUMB project from now on. He is Iván Fernández, who’s enrolled in the last course of the Degree on Computer Engineering of the University of Málaga, and will work on a simulator of CRUMB for V-REP and its connection to Matlab. This is the robot right after unboxing. Dr. Ana Cruz is eager to start working on it! We have a new master-degree (and more recently, PhD) student working with us on CRUMB: Marina Aguilar. She will deal with a simulator of the robot for ROS. We have just ordered the robot to Robotnik. We have now to wait a few months for it to be shipped. The project has been approved! On May 25, 2015, this project has finally been approved by the University of Málaga. 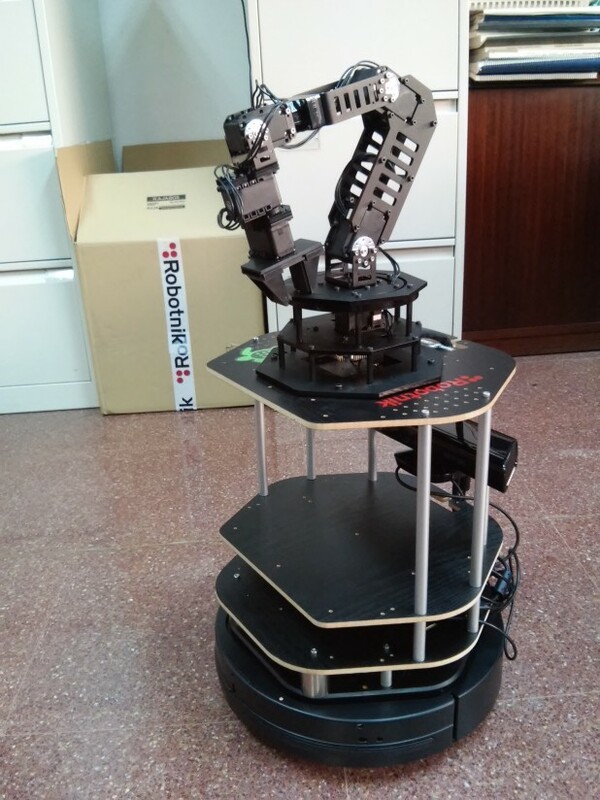 The budget is 4,000 EUR, that we will spend in acquiring the Kobuki+WidowX mobile manipulator as we specified in the application.